One has to wonder if the golden days of cryptocurrencies are over, or if they are simply acting as whipping boys for investors needing liquidity for their declining stock positions. Either way, the result has been a nearly 70% decline in the overall market cap value of the sector since December of last year. 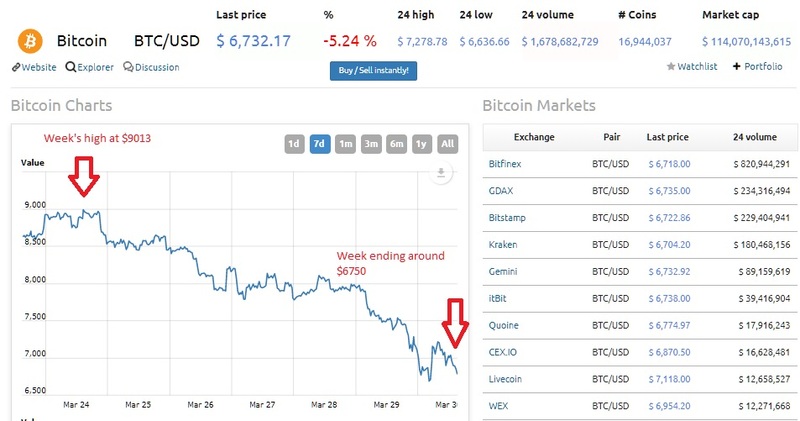 In fact if we were to look at the results for the past seven days alone we would find not only Bitcoin falling 25% for the week, and over 70% down from its all-time high, but Ethereum, Bitcoin Cash, and Lightcoin have led the way as the bloodbath in cryptos shows little signs of slowing. 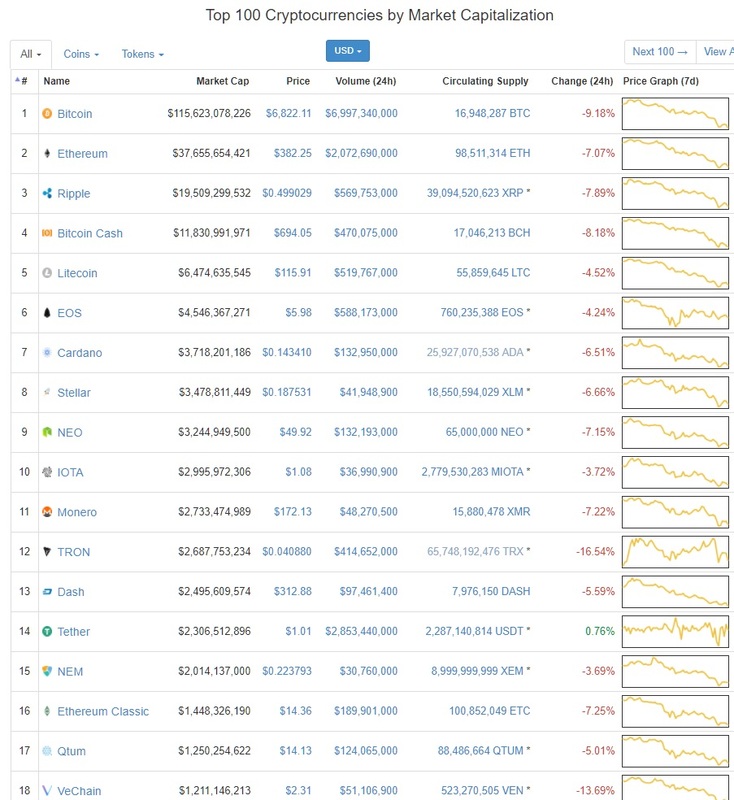 Major cryptocurrencies took another leg lower overnight as the persistent selling persisted, pushing most to fresh multimonth lows. 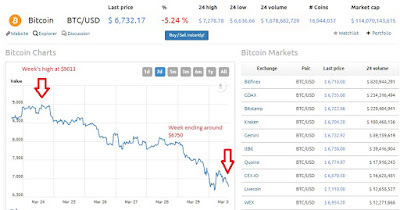 The price of a single bitcoin BTCUSD, -6.38% traded to an overnight low of $6,617.69, homing in on the Feb 6. low of $5947.40, a major support level for technical traders. Bitcoin, however, has had a modest pop, last trading at $6,945.89. 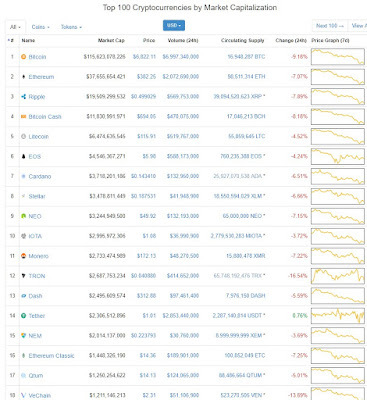 The overnight slump took the total value of all cryptocurrencies toward $250 billion, and at one point it shed $20 billion in six hours. "…When Bitcoin puts in the very bearish “death cross”, the falling of price of the50-day moving average below the 200-day moving average, Bix says he’s sellingsilver to buy more Bitcoin."